It’s the end of the world as we know it. Seriously. But this is no reason to panic, worry, or stock your pantry with jugs of water and pallets of astronaut ice cream. Some are positive their predictions are true. They make the charts our nonchalant friends ignore. They write books like 88 Reasons the World Will End in 1988. Of course, it never happens. We know the verse they always seem to ignore: “But concerning that day and hour no one knows, not even the angels of heaven, nor the Son, but the Father only” (Matt. 24:36). These professional predictors change their formulas over and over, never willing to admit they’re simply wrong. They just write another book. Start another speaking tour. Dub the next president or pope the Antichrist. Each of these postures is wrong. Eschatology isn’t meant to freak us out or check us out; according to the apostle Paul, it’s meant to affect us now. What did Paul think the doctrine of Christ’s return, the resurrection, and eternal life should foster among Christians? Encouragement. Empowerment. Whatever your position on eschatology, if it doesn’t foster mutual encouragement of other Christians or empower you to live an eternity-driven life, you haven’t understood your eschatology. Eschatology is not a study of disaster forecasts. No meteors or ice ages or zombie apocalypses. No charts telling us who will be left behind and when. 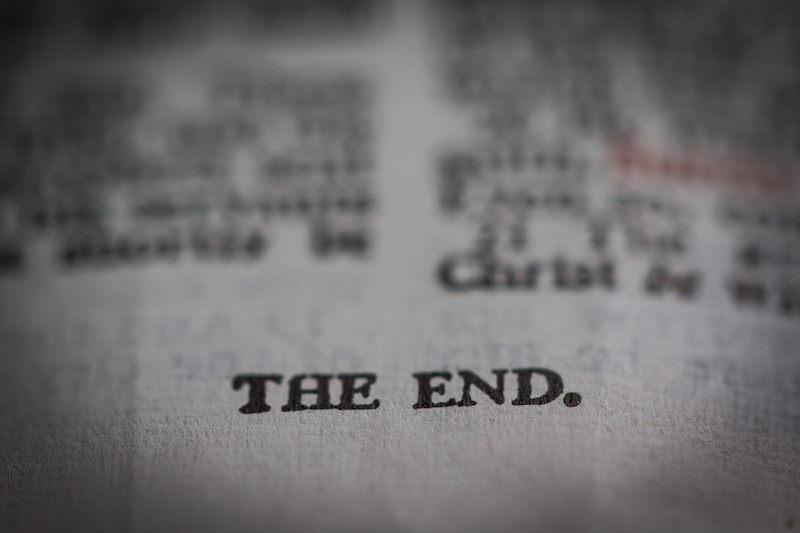 Eschatology’s aim is that you feel encouraged, excited, and eager for the return of King Jesus. That statement isn’t meant to be grim, morbid, or cavalier. It’s realistic. We’re all careening toward our last breath in these fallen bodies. Death is a reality. It’s inescapable. Running from death is like a turtle running from a cheetah. Translation: You’ve already died spiritually. And through Christ, you’ve already been raised spiritually. That’s where it begins, here and now. If you’re reading this, you haven’t died physically. Not yet. But you will. And because of Jesus’s bodily resurrection, we don’t look at death with fear, but in faith that we too will rise. Death isn’t the final nail in the coffin; there’s a glorious eternity on the other side of a non-beating heart since Christ conquered death on its home court. One day there won’t be enough nails in the coffin to hold you in. That first Easter Sunday was a game-changer. The resurrection of Jesus—the death of his death—was so significant that the Bible refuses to stoop down and pander to death’s scare tactics. Instead, God uses a simple metaphor to describe a believers’ death—we’ve fallen asleep. Our bodies are at rest, covered in a blanket of dirt, but the alarm clock of the Lord’s trumpet will sound and we’ll have new, glorified, eternity-ready bodies. Grieving over someone’s death is biblical, even Christlike (John 11:35). We often say, “Death is a natural part of life,” but it’s actually the opposite. Death is entirely unnatural. We weren’t made to die, and we aren’t destined to stay dead. That’s why Jesus mourned over Lazarus’s death, but also pumped blood back through his veins. That resuscitation was a preview of the resurrection to come. So we don’t grieve as though all is lost, since it’s not. Since Jesus got up from the dead, we can be filled with the battle cry: “O death, where is your victory? O death, where is your sting?” (1 Cor. 15:55). Editors’ note: This is an adapted excerpt from Brandon Smith and J. A. Medders’s new book, Rooted: Theology for Growing Christians (Rainer Publishing, 2016). ​J. A. Medders is the pastor of preaching and theology at Redeemer Church in Tomball, Texas. He writes at jamedders.com and hosts Home Row: A Podcast on Writing with Writers. He is the author of Humble Calvinism: If I Know the 5 Points But Have Not Love . . . (The Good Book Company, 2019) Gospel Formed: Living a Grace-Addicted, Truth-Filled, Jesus-Exalting Life (Kregel, 2014) and Rooted: Theology for Growing Christians (Rainer, 2016). You can follow him on Twitter.